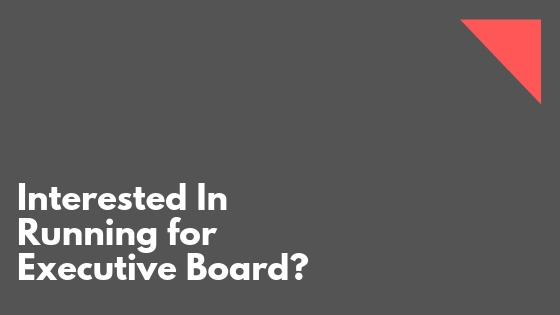 Interested In Running for Executive Board? That time of year is upon us again — Executive Board Elections! If you’re passionate about Ad Society and want it to reach its fullest potential, you may find your fit within e-board. There is a lot that goes behind the scenes that you may not be aware of. Ad Society’s president runs the show. They’re in charge of presiding over general body meetings and manages all director activities. Also, the president keeps in contact with faculty and the advisory council on any updates revolving the organization. Communication is key; the president is always communicating with members, directors, and external key players like speakers, companies, and other organizations. How does Ad Society get the coolest speakers, have the coolest socials, and serve the coolest organizations? It’s because of the VP of External Productions. They manage and assist the following director’s teams: Trips, Speakers, Adserve, Diversity, and Events. So get ready to plan plan plan. Social Media, our website, creative designs, and communication with members wouldn’t be as strong as it is without the VP of Internal Productions. They manage the following teams: Internal Productions, PR, Blog, Digital Creative, and Memberbiz. Where would we be without our money-savvy VP of finance? Without this position, the organization wouldn’t be able to have all the events, trips, speakers, and even t-shirts that we do. There is a lot of strategic spending that can make our budget go a long way. All Exec Board positions require whoever will fulfill it to be professional, passionate, organized, and also fun. These four positions work together to make Ad Society an organization that is a home for its members as well as a place to find opportunities. If you are interested, fill out the interest form on the Facebook page!